compare to your size of your country. Measure yourself by centimeter, then choose correct size. Again, 4BXO is our MAX size. 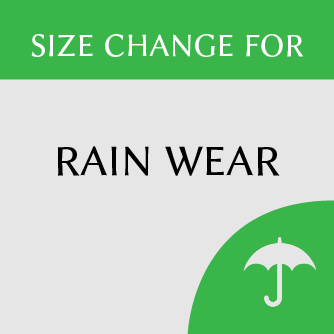 Choose one size bigger than your normal clothing size because you will dress warmly with thick winter clothing inside of your rainwear. 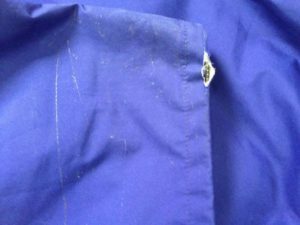 Please make sure to use our attached gaiters when you use our rain trousers.If you have broken the pants hem, you are required to pay 2000 yen. Gaiters can be used for TREKKING SHOES ONLY.If you are going to use gaiters for your flat shoes, Gaiters does not work properly AND gaiters are easily damaged or broken because there is NO INDENT for flat shoes. Trekking shoes do have Indent to attach rubber band coming from each gaiters.